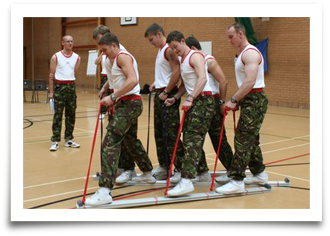 The MTC approach is being widely used within the Armed Forces, Police Force, Instructor Training schools and other Public Sector organisations around the world. 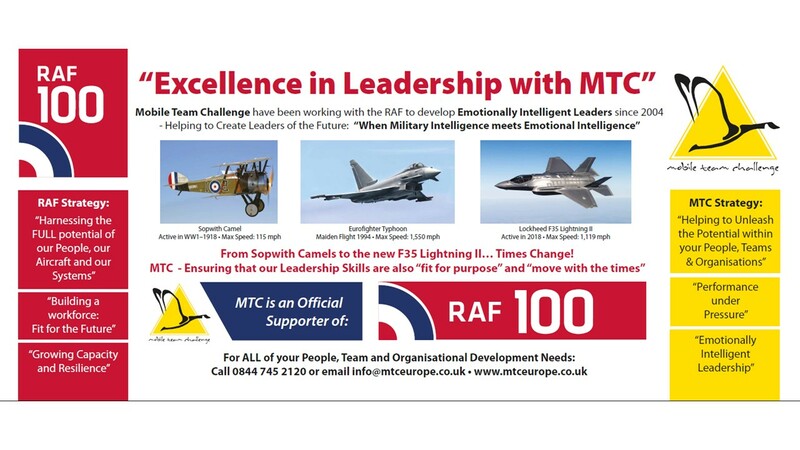 Used in these organisations, MTC has consistently proved to be effective at delivering the following benefits: Significantly raises both confidence and capability in key skills relating to leadership, decision-making, communication, team working, problem-solving, planning and assertiveness. Improved performance through the development of leadership, teamwork, communication and other important skills by running Mobile Team Challenge alongside other RAF development initiatives. Significant improvements in knowledge, skill and capability of Trainers through a unique Train the Trainer programme. Greater effectiveness in culture change and / or personnel change programmes. Rapidly growing levels of trust in new and existing working relationships. Enhanced creativity and creative problem solving. Greater development of military outreach programmes (schools, community centres, general public open days, sporting organisations, etc). 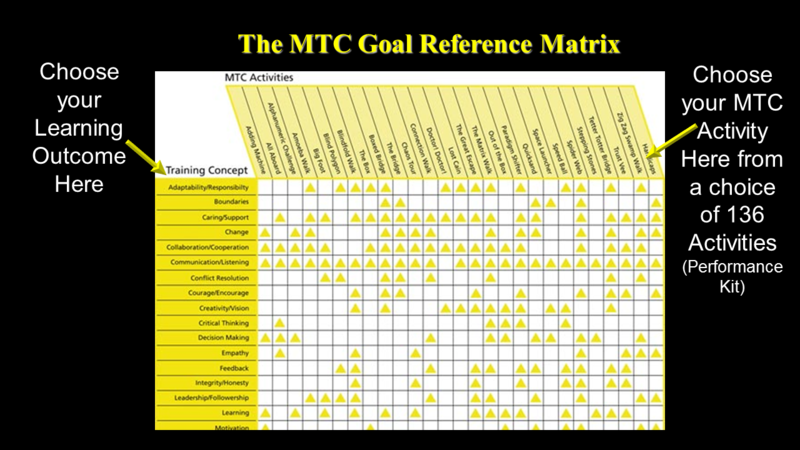 Key Stage 4 and Enrichment are two areas where MTC is making learning FUN for students. Seeing amazing results in the increase in self-esteem, self confidence, self belief, self awareness, respect, motivation, Key Stage 4 Skills, Social Skills. Developing the individual emotional intelligence capacity to develop self awareness of personality styles, and helping them in their personal and domestic relationships with conflict management techniques. Personalising students’ learning experience – from 10 -19 year olds. Military hardware has come a long way in the last 100 years; from the early days of the Sopwith Camel to the very latest Lightning F-35s. The evolution and development of Military “Tools” is critical – as is the on-going development and evolution of Leadership Development. Just as critical is the need to ensure that Leadership skills and concepts ALSO move with the times. MTC “Train the Trainer” Phase I Facilitator Training – 2 Days on-site Another option of achieving the full MTC Facilitation accreditation is via the 2- Day Phase I MTC Facilitator training. This Phase I qualification enables the delegates to progress their learning and development skills by attending these other courses. After attending initial Phase I training, your options are to advance to Phase II Facilitator Training, or Conflict to Collaboration Training or the higher level of Emotional Intelligence Training. All of these courses carry an MTC accredited Certificate. Learn how to create Trust, Respect, Diversity awareness, increased self esteem, behavioural change and motivation using E.I. Includes all materials, workbooks, certificates and Trainer’s expenses but excludes VAT and flights / accommodation where relevant. Learn the impact of when “Military Intelligence meets Emotional Intelligence”. 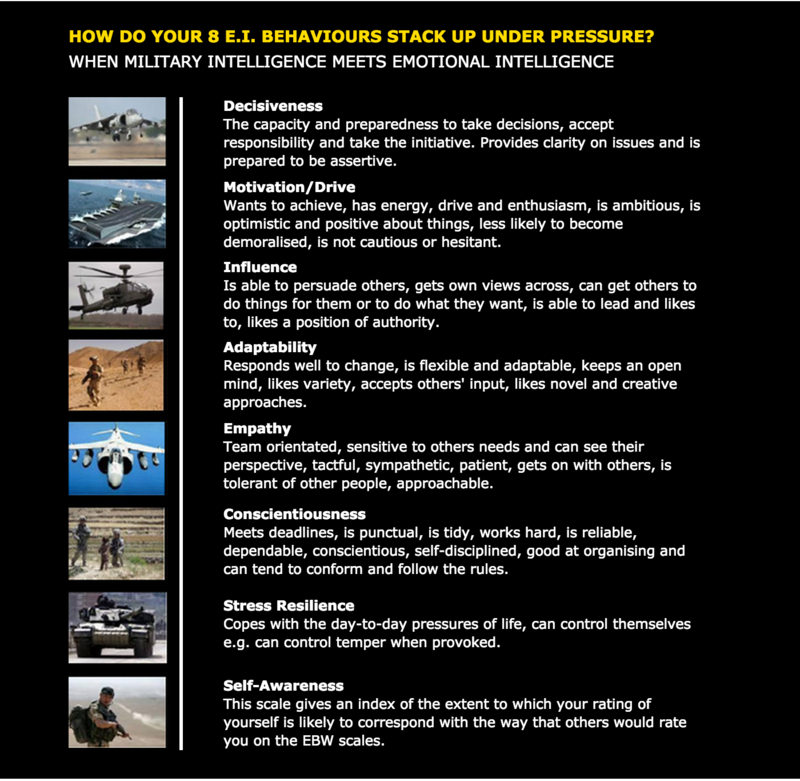 Click here to see why Emotional Intelligence Development is critical in the Military – delivered experientially utilising MTC Kits and British Psychological Society approved E.I. personal profiling. This is a CPD accredited course. 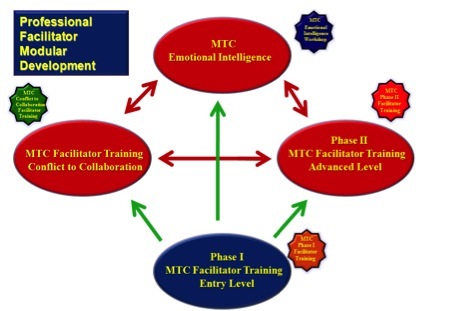 The gateway to the full range of professional MTC facilitation courses is via the Entry Level Phase I Training or the Motivational Outreach Team alternative development route. A Phase I certificate is a pre-requisite for access to the other courses.